Conferences provide businesses with an excellent opportunity to collect leads and assert themselves as experts in their industry. This is, however, only possible if the conference is run properly. Luckily it isn’t that difficult if you only keep everything organized and follow a system. 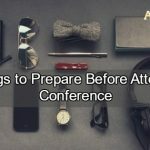 Here follows some tips on how to run a successful conference. The biggest problem most people have in running an event is the fact that they have no clear goal in mind or they have too many. Sit down with your partners and discuss what you hope to achieve through the conference. Do you want to generate revenue? Would you like to attract more publicity? This will help you stay calm and organized. Once you have set your goal, you are ready to go forth in organizing the event. Plan every detail and jot it down; décor, venue, date and so forth. When it comes to speakers you would like to be at your conference, make a list of a few and contact all of them. Don’t put your hopes down on two specific speakers; they might not be available for the event. Do research on the speakers you have in mind. Find out whether the speaker is relevant to your industry and will add anything of worth to your conference. Will your guests learn anything? Is this speaker someone people will show up to see? This is the easiest step of them all. Find your perfect conference venue here. Once you have organized the speakers, it’s time to do the heavy work. Organize caterers for the event, décor hire and someone to print flyers and posters for starters. Get someone to design a program and tickets for the event. Don’t be shy to ask for help from family, employees and friends. With many hands working together, your event is sure to be a success. Tip: When doing your marketing and you have a speaker with an impressive reputation, draw a little more attention to that person. If you know people are especially going to want to see this person don’t hide him or her. The tickets are all sold out, the technology is sorted, your speakers have showed up, now it is time to relax and enjoy yourself. If you come across as nervous, it will show. Just accept that everything is a success and there are only good things to come. 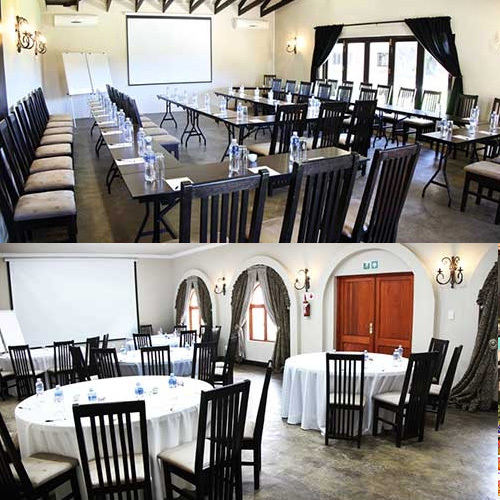 Accolades Conference Centre is designed in a tranquil setting with state of the art equipment, the perfect setting for a successful conference. Our friendly and helpful staff are trained to attend to your every need. You are welcome to request a quick conference quotation here.